Yogi Explains Jazz | Indigenize! Yogi: I can’t, but I will. 90% of all jazz is half improvisation. The other half is the part people play while others are playing something they never played with anyone who played that part. So if you play the wrong part, its right. If you play the right part, it might be right if you play it wrong enough. But if you play it too right, it’s wrong. Yogi: Anyone who understands jazz knows that you can’t understand it. It’s too complicated. That’s whats so simple about it. Actualization through realization. It is amazing that the Interviewer notes syncope to demonstrate what is out of step. Sometimes, it’s a beautiful thing and other times (sewing machines) it’s a real drag. Wow! I never really understood Jazz, but now I think I do. Hilarious!! And true, as far as I could follow it… Thanks! Speaking of syncope and what may be perceived as out of step. The snakes in your depiction? Are they meant to raise awareness to a Medusa like characteristic? Or are they simply snakes? 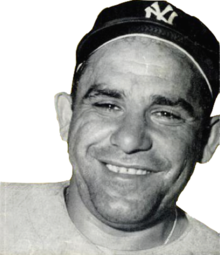 It is a beautiful thing that we have the memory of Yogi here on video as well as his “perfect game” (you tube). Medusa was a manifestation, St Patrick plagiarized the story of Moses (also dubious) and it would appear that Snakes aren’t always what they appear to be. Sometimes there impoverished pagan farmers and other times transformative beautiful people; Who happen to be depicted as snaky-haired with glowing eyes. Truly I do appreciate you and your site. I’m uneasy with Gender appreciation and often wonder if appreciation or “revile” for that matter need be Gender specific. Society and it’s manifest Gender conformity issues that leave some of us marginalized in one way or another is a hypocrisy. I was hopeful to hear that Gender neutrality is gaining traction and hopefully someday will lead to the kind of Constitutional equality that is valid as opposed to abstract for all of us. The Neuralgia has been worse lately and it can be difficult for me. If I have been offensive in anyway, I apologize. It’s so frustrating, I look perfectly fine and everything works. I just remain exhausted from the resonant noise and truly never achieve REM sleep. PS: It was a little intimidating y’know…..maybe being turned to stone…… (yes I raised my shield to the monitor). You are amazing. I was brave enough to create a site on word press for my ruminations. As with all other things these days, it was an interesting experience. May I also say that in the previous post, I was writing about Yogi’s perfect game that is available (in part) on You-tube. I feel like a child of sorts? I’ve been using a system for writing developed by Dr Gabrielle Rico, “Writing the Natural Way” you may have heard or have experience with. It is remarkable as a tool for exploration and assisting me beyond the resonant noise. Although, it has been a little interesting to realize my own voice in the creating and outcome. Tonight I spent 15 minutes “clustering” and ended up giving rise to a Snarky inner self. It left me a little giggly for what remains an examination at some other point. Thank you for acknowledging me Dr Fields and for your interaction.